constructor can be overridden ? 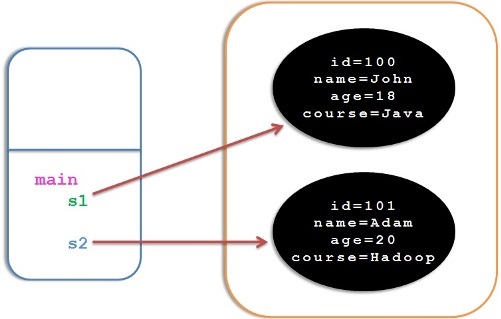 constructors in java default constructors in java Difference between Constructor and Methods in Java parameterized constructor in java types of constructors in java what are constructors What is the need of constructor overloading? Constructor is a special method which does not have any return type. It is mainly used to initialize an object, means providing values for the data members of an object. Since its constructing an object by initializing its data members, It’s called Constructor. 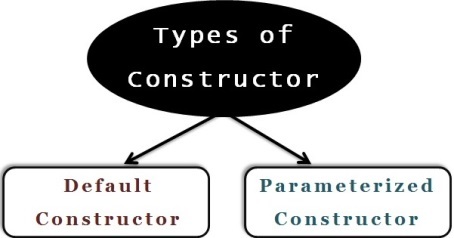 Every class should have at least one constructor. If we don’t add new constructor to the class, then Compiler adds a default constructor to the class. Constructor will be invoked whenever we create an object. 2) Constructor should not have any return type, not even void. 3) Constructor can’t be abstract, static, final or synchronized. These modifiers are strictly not allowed for constructor. In the above example, we have added default constructor and this constructor will be called while creating the object “s1”. If there is no constructor added in our custom class, then compiler will automatically add one default constructor with empty body. Whenever we use default constructor to create an object, it provides default values to all the fields of an object like null,0 or false etc. In that case, we will use setter method to set the values to the object fields. We can use parameterized constructor to create an object and also at the same time to provide values to the object. We can see that parameterized constructor is called for both “s1” and “s2” and we are passing different values for both s1 and s2. This way, we can use parameterized constructor to create the object and at the same time, initializing the values for the object. If we add any constructor whether it is default constructor or parameterized constructor inside the class then no other constructor will be added by compiler automatically. So, in the above class, there is no default constructor available and hence if we try to create an object using default constructor, compiler will throw an error. We can achieve constructor overloading and it’s as Similar as method overloading. In this case, class will have multiple constructors with different number of parameters or different type of parameters. Compiler differentiate each constructor based on the type and number of parameters. What is the need of constructor overloading? We can construct the objects in a different way using respective constructor call while creating the object. In the above example,We have done constructor overloading by adding 2 constructors with different number of parameters. We can see that we have created 2 objects where s1 is created by calling parameterized constructor which takes 3 parameters and s2 is created by calling parameterized constructor which takes 4 parameters. So, depending on whether object needs all the values or few values to be initialized, we can call the right constructor among several overloaded constructors. Do we have constructor overriding? No,Because Constructor will always have class name and hence we can’t define the parent class constructor in the child class with same name rather child class should have constructor with child class name. loved it man….you’re a amazing teacher! In constructor Overloading, for Student.java class, the class name should be declared with lowercase since it is a keyword.Can you please correct it?